A person has to stand for something in life. 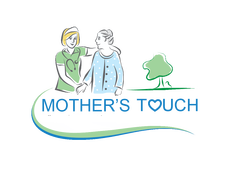 We stand for quality and caring service in all aspects of hospice care. A patient and their family should be able to look whoever is caring for them straight in the eye and know that person knows their medical history, knows where each of their family members are in this journey, and know that those providing ​​care to them cares about them. That is what they deserve and what Patty, I, and the Mother's Touch team promise to provide. This moment in the patient and their family's lives is about them and what we can do for them. One example is that we do "Care Audits". During those audits we have a management-level nurse review nursing notes, laboratory results, and other information in patient's chart to understand the patient. After that research and more is completed, that nurse visits the patient and/or family to see if what should be happening is what is happening. We ensure that the equipment in the home matches what is on the chart that it matches what the patient needs. Next we verify the patient's medications. Do they match the Doctor's orders that are in the chart and what the patient thinks they are taking, was all educations done on the medications, are the medications effective and what are any side effects of their medications? Finally, are the medications that should be in the patients pill planner what are in the patient's pill planner? These are only a few of the dozens of things we constantly monitor to ensure the best patient care. Patient surveys are sent to all we serve. We encourage and welcome comments and questions on those surveys about any aspect of patient care. If after we give them a response to their questions/comments they are not satisfied, they will be able to forward the "concern" to me directly. Physicians, Skilled Nursing Administrators, and others have my cell phone and I will do what it takes to get them an answer and get it fast. ​Of course there are hundreds of other things we do. 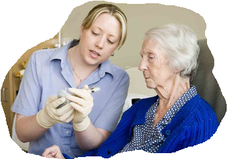 We utilize numerous resources to make sure we are doing hospice "right" for all concerned. Family members are encouraged to approach us with any question at any time via various methods be it by phone, contact page of this website, emails, surveys, events, social media, or by other means. 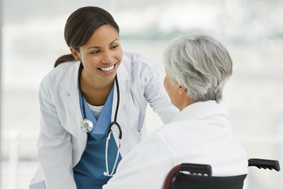 We have in place privacy safeguards that must be followed to be in compliance with HIPAA (patient privacy laws). ​Regarding patient care specifically we are very aggressive at treating any acute condition that would make a patient feel better in any way. If something can be improved, I want us to find it and work as hard as possible to do that. This does not mean we try to cure any disease. Helping stimulate appetite (increase protein) in various ways to eliminate skin break down are just a few of dozens if not hundreds of things we will look at when caring for a patient. We hear all the time that from patients that they "feel much better" under hospice care. Of course hospice is very complicated and I could explain many more things about what we do and why we do it, but, I hope this section and others on the site explain the Mother's Touch difference. Please see Patient Stories for just a few examples of the numerous we could share.